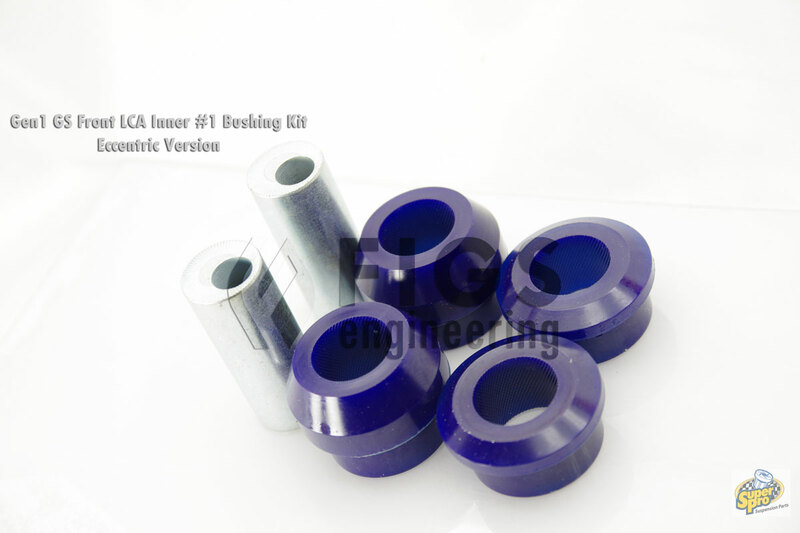 These bushings replace the inner LCA bushing #1 on the front. This is the eccentric version which allows the user to modify camber settings +/- 0.6 degrees. We invested the time so you can get them with 1-click, enjoy. These bushings are supplemental bushings, meaning they surround existing OEM crossmember bushings, .. These bushings are supplemental bushings, meaning they surround and support the existing OEM subfra..